In a previous post I raved about Candlewick's awesome new pop-up book Encyclopedia Mythologica: Gods and Heroes. If you check out the video preview provided at the Candlewick site (be sure to go full screen), I think you'll agree that creators Matthew Reinhart and Robert Sabuda have put together one impressive book! 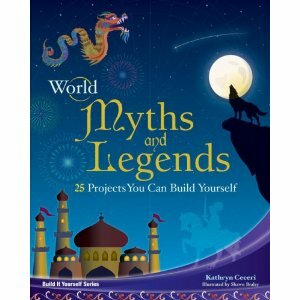 I was therefore honored when Candlewick approached me to write a teachers' guide for using this book in the classroom. (I've said it before and I'll say it again, I love a publishing company that provides those extra perks for teachers and parents to get the most from their picture books). And in case that teacher's guide doesn't give you enough ideas for putting this book to work for you, I've compiled a list of over a dozen must-see books, sites, and activities that further supplement and extend this book. 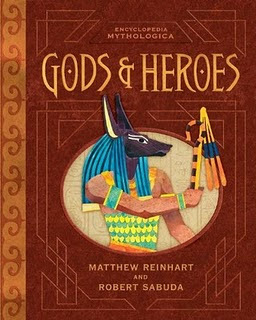 Below I recommend some extensions for exploring and teaching with Gods and Heroes. easy-to-pull-off projects using commonly found objects and tools. Shawn Braley's illustrations bring life to the myths that Ceceri retells, while providing helpful diagrams and templates for the included projects. Check out some madly enthusiastic reviews, related web sites, and a sample project from the book. If you're looking to get serious about Greek mythology, Scholastic's All in the Family: A Look-It-Up Guide to the In-Laws, Outlaws, and Offspring of Mythology is an indispensable resource for the classroom (trust me; I had students fighting over this thing!). It's simply a fabulous volume of personal profiles and family, flings, friends, and foes. Illustrated with classic art, cartoons, and photos, it's visually appealing, and the humorous, engaging text will keep students reading. A family tree, glossary, and a constellation map complete this title. Seriously, if your students are doing any kind of research on Greek gods, goddesses, and heroes, one copy of this book is not enough. 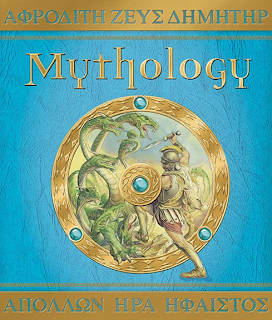 And of course, don't forget to check out Candlewick's own Mythology by Lady Hestia Evans. This book is part of the Ologies series, which features its very own site. From the publisher's site you can download an activity kit with craft and writing ideas, easily adaptable to any myth or grade level, and a teachers' guide of related curriculum activities. As mentioned in the previous post, a great extension activity for students is creating their own pop-ups. 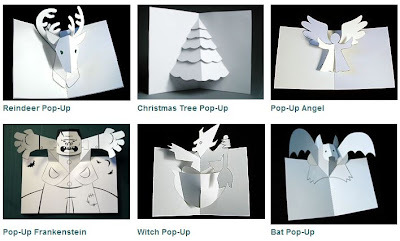 Not as easy as it sounds, unless, of course, you have a resource such as Robert Sabuda's own web site which features printable templates for over two dozen pop-ups. These can serve as great presentation formats for seasonal poetry, short stories, or book reports, or for creating cards for a special occasion. (Candlewick has also posted a simple pop-up template on their site). My students saw this simple Roman shield idea some time ago and they thought it was pretty cool. I suppose students could each create designs that had some relevance to a particular god or hero. At Scholastic's wonderful Writing with Writers site, students are guided through the writing process by a famous children's author who writes in a given genre (hence the site's name). The genres, hosted by such writers as Jack Prelutsky and Virginia Hamilton, include Biography, Descriptive, Folktale, Mystery, News, Poetry, Speech, Book Review, and, of course, Myth. The incomparable Jane Yolen begins the process with the telling of an original myth, and then provides step-by-step guidance as children create their own stories. 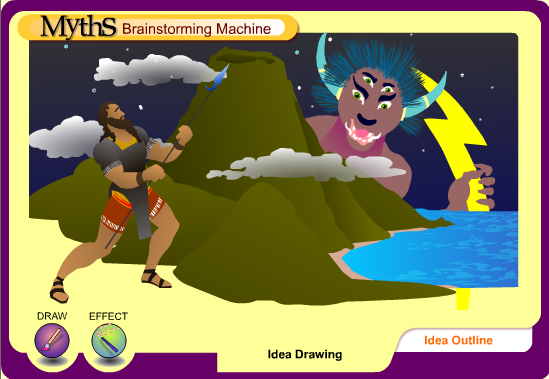 Scholastic has additional features including Myths from Around the World and an interactive Myth Brainstorming Machine. The Myth Brainstorming Machine is pretty amazing in that it allows students to create a story using pictures and effects, and then translates the chosen visuals into key words and character names, which would then be used to write the tale (note the Idea Outline tab on the image above, at the lower right corner). At the US Department of Education's Doing What Works site, you can view an upper grade teacher's take on Greek Myths: Understanding Word Roots and Meanings. If you see what you like, you can download some sample lesson plans. If you're interested in teaching students vocabulary through Greek and Latin roots, you'll find some good links to explore on a previous post (at my Teaching that Sticks site) titled It's All Greek to Me. Tops on my list is Winged Sandals, a fun and colorful site focusing on Greek mythology. Here students can hear stories of gods and heroes, play games, create crafts, learn more about Greek history and daily life, and even ask the Oracle to tell their future. A very thorough Who's Who link provides biographies of gods, monsters, and mortals, along with key "stats" and anecdotes. (Your students will also discover cool wallpapers and e-cards in the goodies section). Highly recommended. Windows to the Universe is an original site which describes how the stars, sun, and other celestial bodies have been linked to mythology throughout the ages. Yes, we all know that constellations were named for Greek and Roman gods, but how did Celts, Egyptians, Inca, Navajo, and other cultures tell their stories through the skies? A fascinating site to explore, with many possibilities for research. 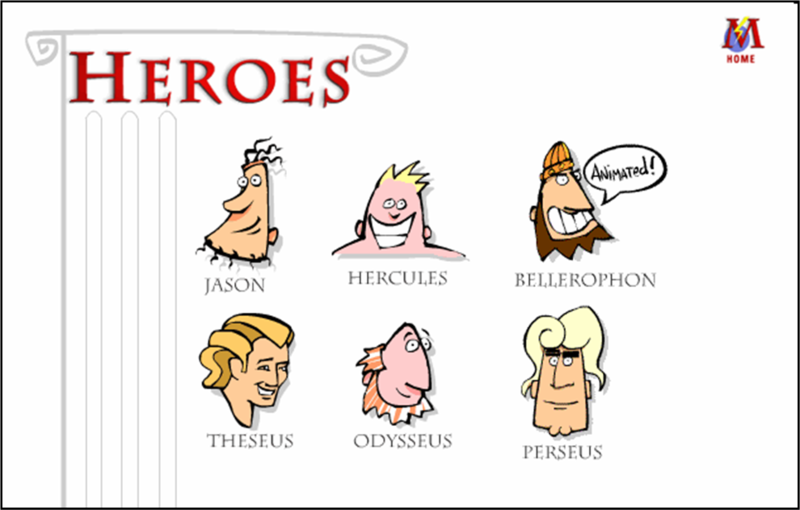 Myth Web is a fun place to read about the traditional Roman heroes, since the tales are told with cartoons and the writing's pretty lively. But this site also has an extensive research base, plus some tips and resources for teachers. 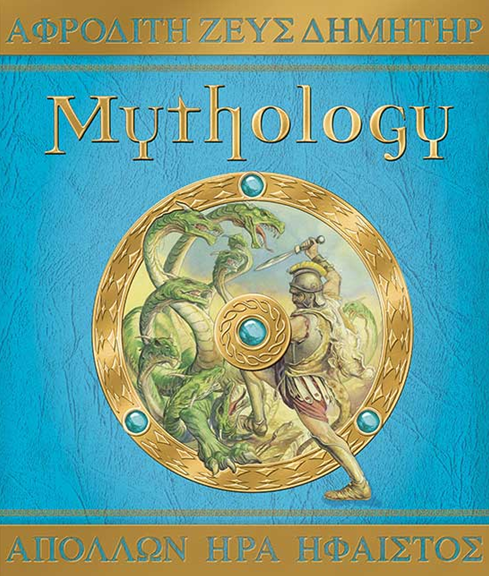 Encyclopedia Mythica is an astounding collection of mythology and folklore from every culture imaginable. While it isn't designed to be fun, it's certainly complete! Men, Myths, and Minds not only tells about some of the more common Greek gods, but also describes how they were archetypes of behaviors, from which listeners of the ancient tales were to learn. Another good site for student research. 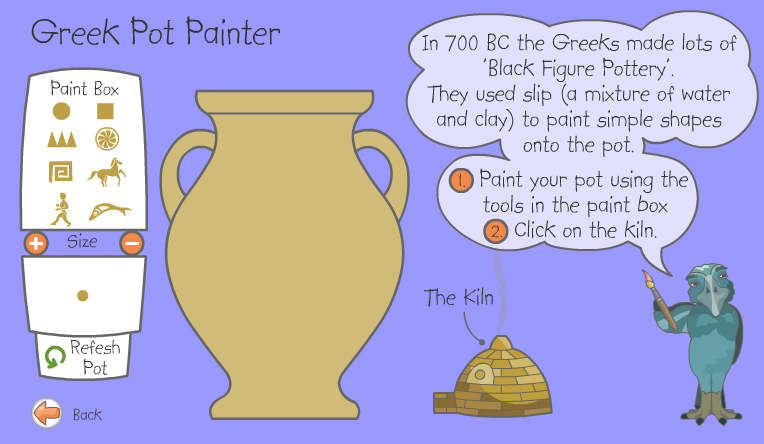 Fun stuff to do online, related to the Ancient Egyptians, Greeks, and Romans. 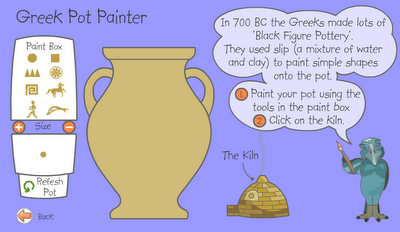 Dress a Roman soldier, design a Greek Pot, print out timelines, etc. 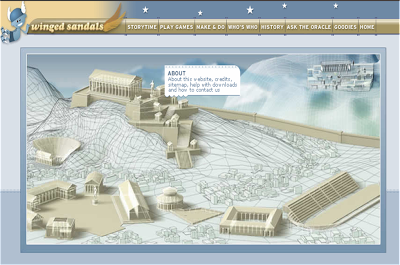 Although not a lot here about mythology, this site provides an interactive way for students to learn about Greek culture. Cartoon-based and kid-friendly. Awesome resource! Even if I don't win this book I am totally coming back to check out what all is here for our history next year. I absolutely agree that these sites are fabulous for history studies! Be sure especially to cjeck out the Museums site; lots rolled into one package. Is the giveaway solely for US readers, Keith? Sorry, just for US readers. I keep forgetting the worldwide scope of this little blog! Wow! Love that site from Emory University! I know of a few teachers who will go nuts over it (and a few kids as well)! Thanks for taking the time to suggest it! What a great site this is! Can't wait to dive into it some more! This looks like an amazing book. My students can't get enough mythology right now. I think they would enjoy the pop up features since they are in 4th grade. What an incredible giveaway and review. Thanks for all the great info! oh I missed this, but thanks for a great post packed full of info.